Think of this coat as your own secret identity. From the outside, it looks like any dark overcoat. Typical buttons, color, everything. Wear it to the movies, work, whatever you want when the weather is a bit chilly. 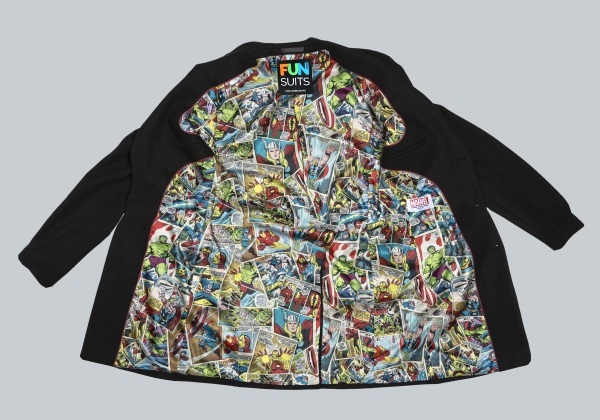 The inside, however, features a bright lining that is covered with Marvel comics. It’s a fun bit of geeky clothing and comes in sizes small to extra-large. It’s a wool, polyester blend which will do well enough at keeping you warm. You can get your own for $29.99.